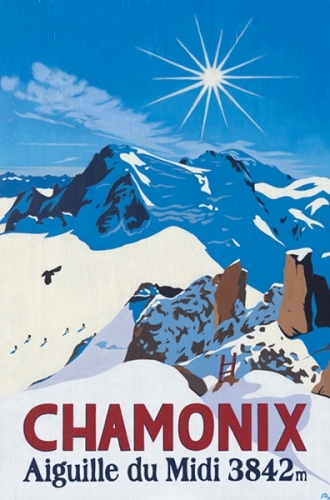 Original acrylic ‘poster style’ painting on plywood of Le Bec des Rosses, Verbier by Lucy Dunnett. 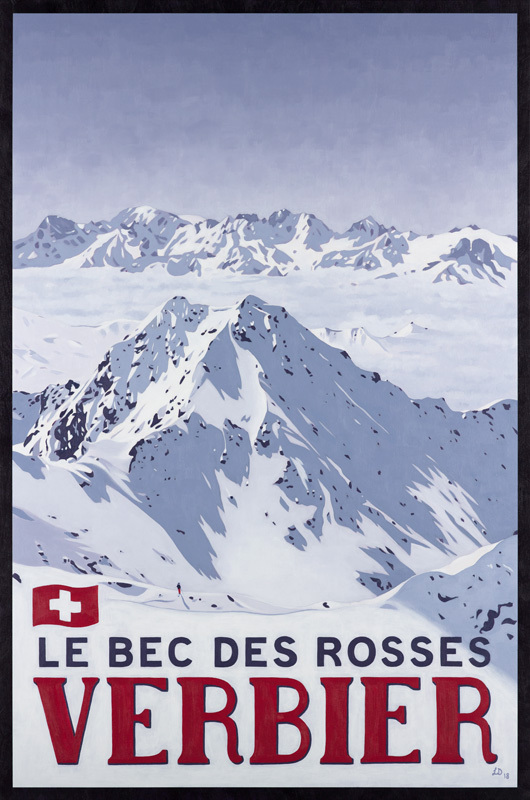 This view of Le Bec des Rosses is from the top of Mont Fort, the highest peak in Verbier, Switzerland. In the background you can see the Mont Blanc Massif. The north face of Le Bec des Rosses is home to the legendary Verbier Xtreme, final of the Freeride World Tour. Some of the very best skiers and snowboarders in the world compete for the title of world champion on this insanely steep and rocky face every March. Acrylic on birch plywood panel with aluminium sub-frame, 75cm x 50cm.